There was a buzz around Irving Plaza last Sunday night and for a couple of reasons. 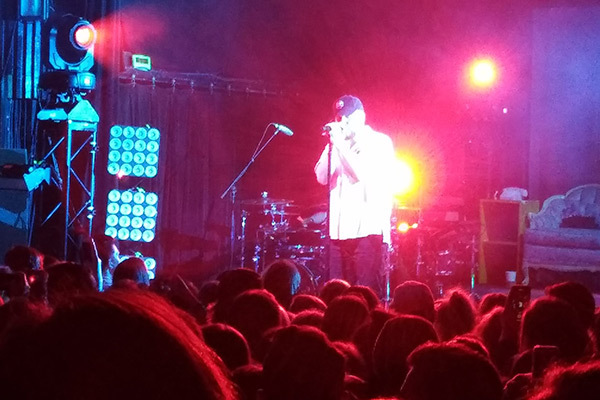 First, Quinn XCII was preparing to headline his first of two sold-out shows at the venue. Second, the rumor-mill was swirling that there would be a special guest in attendance: Bill and Hillary Clinton’s daughter, Chelsea. Quinn, who of course was well-aware of both situations when I sat with him in his dressing room prior to the show, seemed excited but not fazed. Quinn is in the desirable position of being able to practice what he preaches; while his album deals with his vulnerabilities and relationships, his stage-name is derived from an acronym he created – and that wasn’t always something he felt comfortable sharing. Temrowski attributed the phrase to a professor he had at Michigan State until his tour’s opening night in Detroit, when he revealed that it was all his doing. That message is allowing Quinn to resonate with an ever-growing audience. And on Sunday night, there was surely at least one person in the crowd that appreciated the artist using his platform to spread positivity.